You work hard. 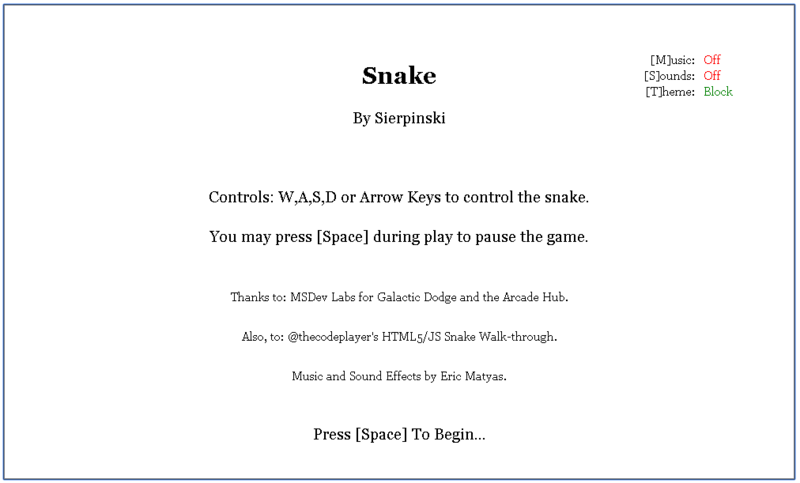 Now, play the classic game Snake right in VSTS! INSTALL "Galactic Dodge"! You need it for the Arcade Hub! Now, this extension is located in the Arcade Hub. That Hub is created by the "Galactic Dodge extension". So, please install that extension, too! It's a fun game, too, so it's a win-win. Options for all of the above at start, pause and game over! New and unknown game-breaking bugs! A snake you can control with your keyboard. Authentic Blocky Design, with colors! Food for the snake to eat!